Machinima’s debut at the Digital Content Newfronts was nothing short of “heroic” as they unveiled a programming slate designed to elevate and celebrate a global community of gamer, comic and hero fans. Partnerships with Blue Ribbon Content and DC Entertainment, Metro-Goldwyn-Mayer, Clive Barker, Roberto Orci and Bunim/Murray Productions, along with some of Machinima’s leading creator talent, showcase Machinima’s commitment to developing content across all genres, formats and platforms. From visionary producer and animator Bruce Timm (“Batman: The Animated Series”, “Superman: The Animated Series”), Justice League: Gods and Monsters Chronicles turns the DC Universe upside-down. In this dark, alternate world, telling the good guys from the bad guys is never easy: Superman is not the son of Jor-El, he’s the son of General Zod; Wonder Woman is not from peaceful Themyscira, but rather the warring nation of Ares; and Batman is more vampire-bat than man…and he’s not Bruce Wayne. It is unclear if our greatest heroes are here to protect us…or to rule us. With Season 1 set to launch in June, Machinima, Blue Ribbon Content and DC Entertainment have already begun development on Season 2, a 10-episode follow-up to the initial limited series. Machinima, Blue Ribbon Content, and DC Entertainment are setting out to discover the next great creator for the world of DC Comics. Eight contestants compete in elimination challenges to develop a live-action short video based on their own interpretations of characters from DC Comics’ Starman comic book series. Well-known guest judges and celebrity special guests will join bestselling writer and DC Entertainment Chief Creative Officer Geoff Johns and a panel of esteemed judges to oversee the entire competition. 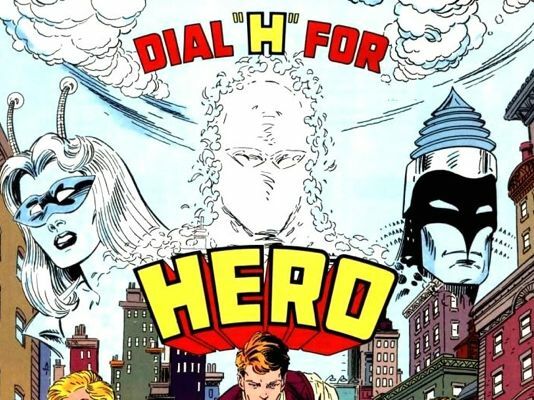 A modern adaptation of DC Comics’ cult-favorite classic “Dial H For Hero”, #4Hero is a live-action, VFX-heavy action-comedy about a young woman named Nellie Tribble who is quietly desperate to make her mark on the world, but wholly unprepared to do so. Nellie stumbles upon a life-altering smartphone app that allows her to instantly become a Super Hero for a short amount of time. The problem is her super powers are dictated by whatever is trending on social media at that moment, and they are always only semi-useful. You can read about Machinima’s full announced slate by clicking here.